I am writing my own code to design your own tshirt using 1.5.2.1 and i need to know how to submit the product to the shopping cart? its on the same site and hopefully I will create its own page for it on my site but it dosnt use any opencart functions. Is there some sort of api or function? it might be easier to use opencart product functions with a little editing to include vecta grahpics. That way you could use product options to overlay images/text as well as changing the colour of the t shirts. There is an extension for this under the extensions tab. we have a pretty big custom module to develop so i don't know if using the opencart system will be flexible enough. Does anyone have any examples on using the API. I have found there is a code but i would like some advice on implimenting it? This is exactly what I was looking for. If you could share your implementation details with me, it would be a great help. I want this functionality http://puchipetwear.com/design-your-own ... -own-hoody. Can you share this implementation? I will be very thankful to you if you help me to built this functionality. I can even pay for this functionality. Hello! I need the same mod... Is it shared anywhere? I'm looking for the this type of design only. It's very helpful for me to create. Thanks. After reading whole thread, it looks as if you are looking for solution like DesignStudio. Check it at below link. OpenCart has been customized to make this solution, so the backend is almost similar to OpenCart, so need not to have any learning curve to manage and run eStore on DesignStudio. Why have you customised the design studio?? ITs actually a FREE OPEN SOURCE software and requires no customising and runs on ALL current versions of Open cart. Interesting.... You can actually download this for free here on the OpenCart website. Interesting and convenient, if it's kept updated. We seem to have quite a few t-shirters, relatively few [requests] from them for flash/flex designers. We have fairly frequent requests for features that bring flash/flex designers to mind, but that would usually require changes. "You can find more details here" goes 404. Last edited by butte on Sun Nov 17, 2013 4:15 am, edited 1 time in total. Its been in development constantly for 3 years at least. Its constantly updated. The reason I posted is that I am now confused about Opensource software. The software is free to download I follow that. BUT surely its cant be right that a company like TechZulla is able to just change the name if it and pass it off as its own. Its the same as someone getting a module from open cart or host jars, changing the name and selling it on again? THE t-shirt designer is now available from its own home and from OC (above). Yeah, any special changes that may even be deservedly under copyright (specifically in and of themselves alone) do not dispense with the blanket provisions of open source licensing set up to be perennial, and along with free distribution the source code must be provided unless it is not compiled and is not significantly rearranged. (If one were to transmogrify OC, then its open source would be necessary to supply so that it could be seen without figuring out when what went where why.) We often see prohibitions of charges except for cost of optical discs or added manuals (distributions of Linux are selling the bonuses, media, and support, not the Linux or really even the tweaks). That seems to be the game with the designer, offered by way of paying for setup, configuration, and support on the client's own server (we can even get a mall). As for the link, for your amusement bring it up now and see stray html strewn through the page, and notice the home office address. The blue tie is a nice touch, certainly wide enough. They are even hiring. Very international, of course. butte wrote: THE t-shirt designer is now available from its own home and from OC (above). You mean on Opentshirts site?? or techzula? I am guessing I have more info that sheds more light on their fraud Techzulla that is... NOT opentshirts. 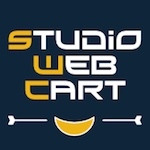 DesignStudio is not a module or extension to OpenCart. Its a complete and separate software developed to sell customized and self-designed t-shirts online. The whole software package is of $1,200 (one time cost) + $300 (installation charge - its optional, if you want our team to install on your hosting server). That I find disgusting...$1.200 selling something that cost a hell of a lot to develop BUT is supposed to FOC and NOT sold passing it off as their own software. Oh BTW just for your info I am NOT commercially involved with opentshirts, I merely admin the forum as a volunteer and do not like people taking advantage. We're on the same page. By "THE t-shirt designer is now available from its own home and from OC (above)" I MEANT opentshirts.org and http://www.opencart.com/index.php?route ... %20tshirts as noted above by OpenTshirts. It was implicit in replying to and agreeing with you on open source that "the game" is played by the outfit in India for fees, and, prima facie of context, not played by opentshirts.org which originated the open source code and does not charge for it. The figures are not appearing today on the website, where no mention is made of software price or even of installation fee(s) (on the website, for setup, configuration, support). Perhaps you earlier prompted that omission to occur by way of deletion. butte wrote: We're on the same page. By "THE t-shirt designer is now available from its own home and from OC (above)" I MEANT opentshirts.org and http://www.opencart.com/index.php?route ... %20tshirts as noted above by OpenTshirts. It was implicit in replying to and agreeing with you on open source that "the game" is played by the outfit in India for fees, and, prima facie of context, not played by opentshirts.org which originated the open source code and does not charge for it. The prices I mentioned are not published on the web site but are in fact sent out in an email. I guess so the owner of the software is not aware of the vast sums his software is being sold at! Can't see open source presale? Don't get source with it? Aren't thick enough to see without recourse what $1,200 actually buys? My goodness, who will step up to illustrate the Barnum Principle? Buy now. Double piracy combined in a shell game. However I am guessing that who ever owns /runs open cart would be interested in the fact their product is added to the bundle for sale? ?